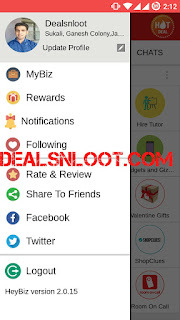 Hello Dealsnloot Readers, Heybiz Loot : Refer your friends and Earn Free Rewards like Mobile Recharge, i Phone 6, Wireless Speaker, Power Bank etc and much more.You can earn unlimited points by referring unlimited Friends.HeyBiz is an app where you can collect points doing easy tasks and get free recharge. You can also get awesome freebies like iPhone 6, Selfie stick, Power banks, etc. 2) Open the App and Register account ( No mobile Verification Required ). 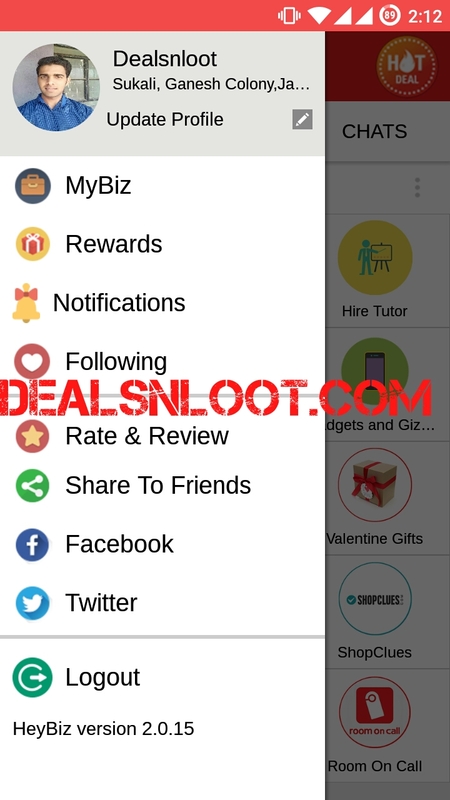 3) Once you entered in App click on “Gift icon” in Top of the Heybiz App. 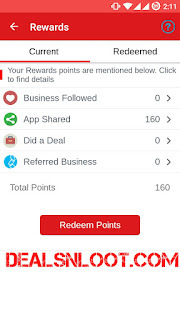 4) Click on “App Shared” to get your referral. 5) Now refer your friends to get your Free rewards, you can redeem gift like:- Mobile Recharge, i Phone 6, Wireless Speaker, Power Bank etc and much. 5) Once your friends download using your referral link, Then your referral will we count in your referral statics. 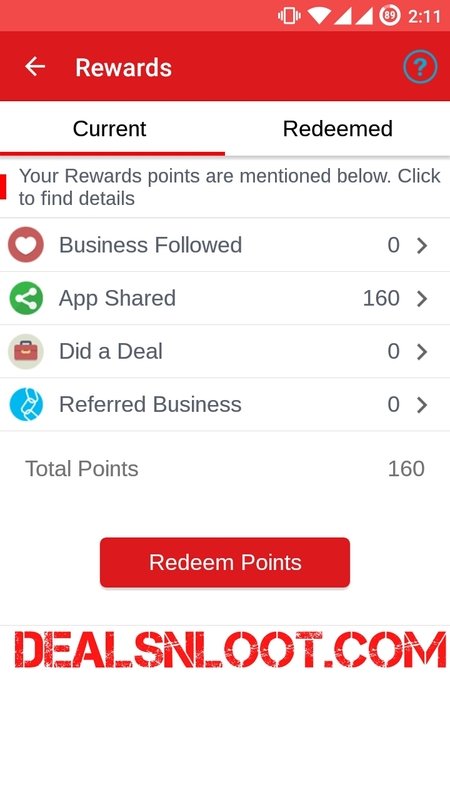 6) To Redeem Gift > Click on “Redeem Points” > Select the product which you want to Redeem > click on “Redeem“. 7) Follow the process and get your Free Rewards. Now Go To Bluestack Setting > Account > Add New Account. Now Refer using previous id link.From This Trick You Will Get Unlimited Recharge and Products! Note : You Have To Change Email ID Every time In Accounts Section Of BS Then Only You Will Be Able To Get Referral Money.Steps Are Quiet Lengthy But Working. Try Now Some Free Recharges.